Hayahay Restaurant offers a wide variety of local and international dishes. You should try our pizza, probably the best on the beach. Our Thai dishes are well known. We offer every day fresh seafood from the grill. Try our variety of local and international beers and liquors. 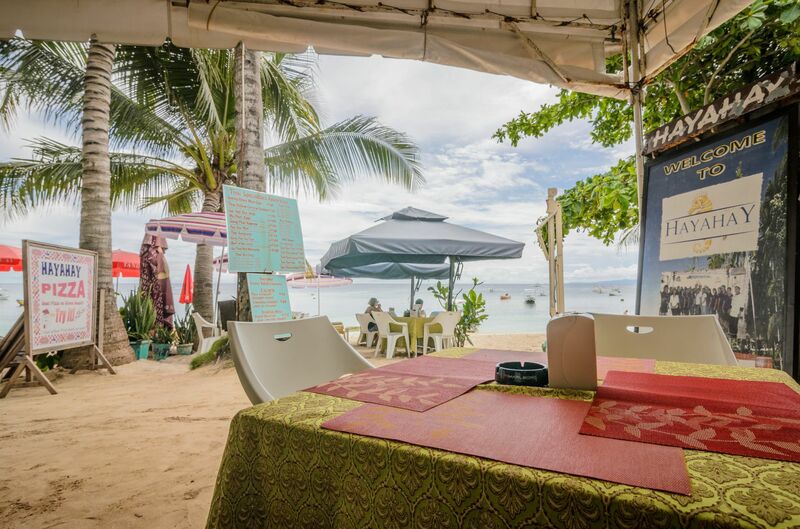 Enjoy your meal, sitting directly on the white sandy beach, or choose the upsatirs restaurant for a more private athmosphere. The restaturant is open from 7:00 AM to 11:00 PM.